This project constitutes the total renovation the former OSECO / Heritage Seed Company building adjacent to the historic Goldie Mill ruins into a multi-use teaching facility. A key feature of the 21,000 ft2 renovation is its relationship and pronounced reference to the ruins. 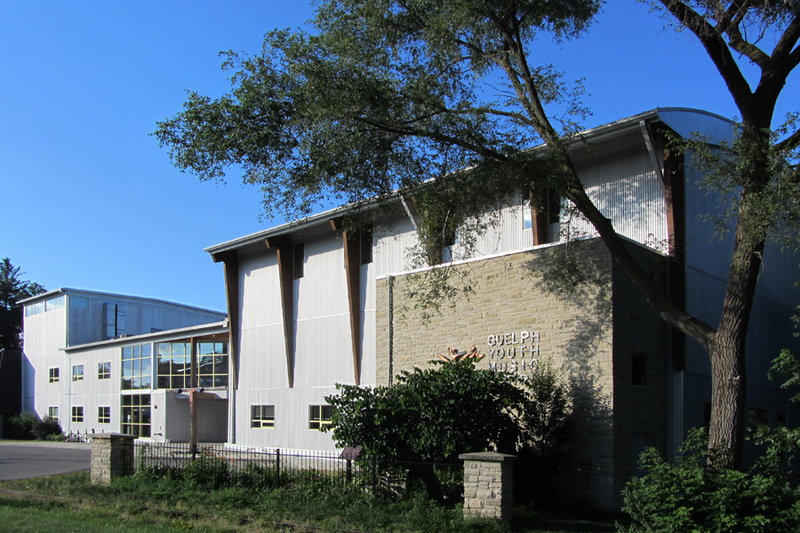 Originally built in 1920, the building provides teaching and performance facilities for youth music programmes in the city of Guelph. 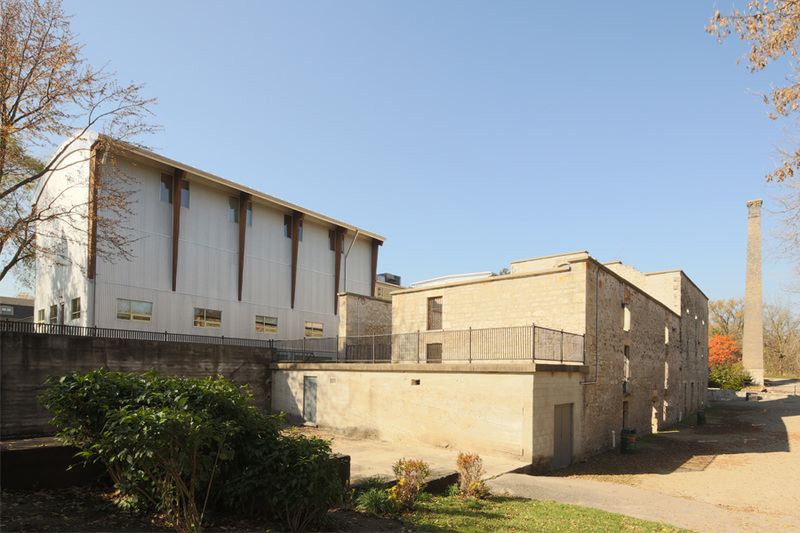 The finished complex includes a variety of classrooms, offices and dance studio facilities. At the heart of the complex is a 175 seat recital hall designed to support a broad range of vocal and instrumental education and performance requirements. 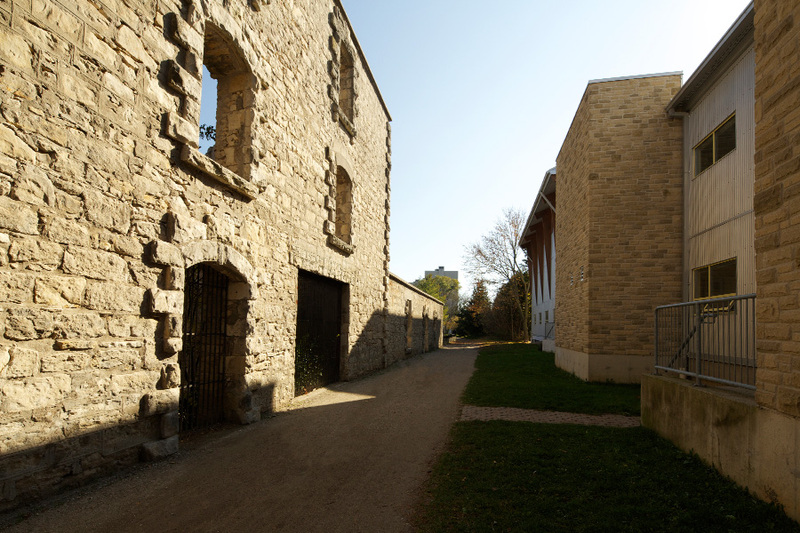 In addition, a renovated steel warehouse serves as a Drill Hall and headquarters for the Navy League of Canada. Retention and elaboration of the existing post and beam warehouse building’s original industrial vernacular are balanced with the modern day acoustic and public assembly requirements.